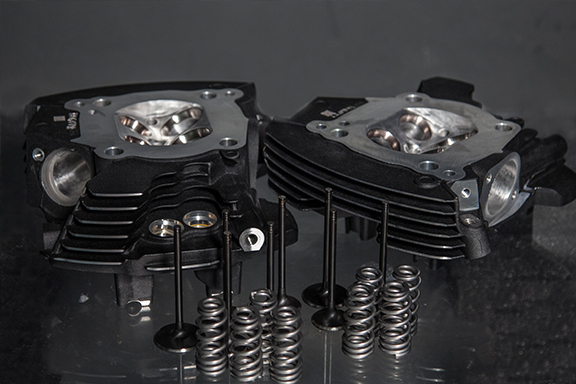 The Revolution Performance Velocity CNC Cylinder Head Package has been painstakingly developed on the flow bench, dyno and street to increase power and torque on 117" Victory motorcycle engines. Although these heads flow much better than stock, the focus is on port velocity for better low end power and ride-ablity. The ports are machined with laser accuracy on our state of the art Centroid A560 5-Axis CNC Machine Center and then hand blended. We install new guides and the seats are CNC machined on our Newen BB Contour Turning Center. 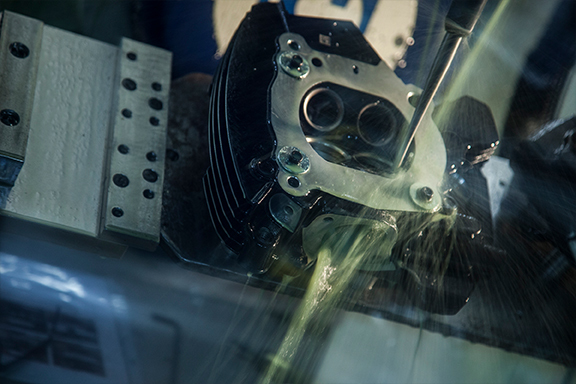 The combustion chamber is polished and the gasket surface decked for optimal combustion chamber volume. 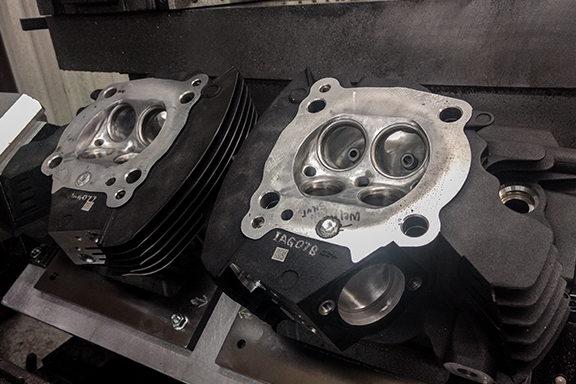 New custom oversized intake and custom oversized exhaust valves are installed with high lift valve springs. The head is shipped ready to install. 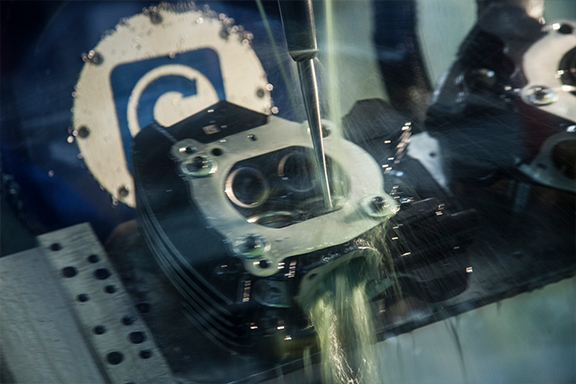 For questions on our cylinder head packages, please contact our sales technicians directly at: 1-866-892-2109 M-F 8:30 AM. - 5:00 PM. CST.